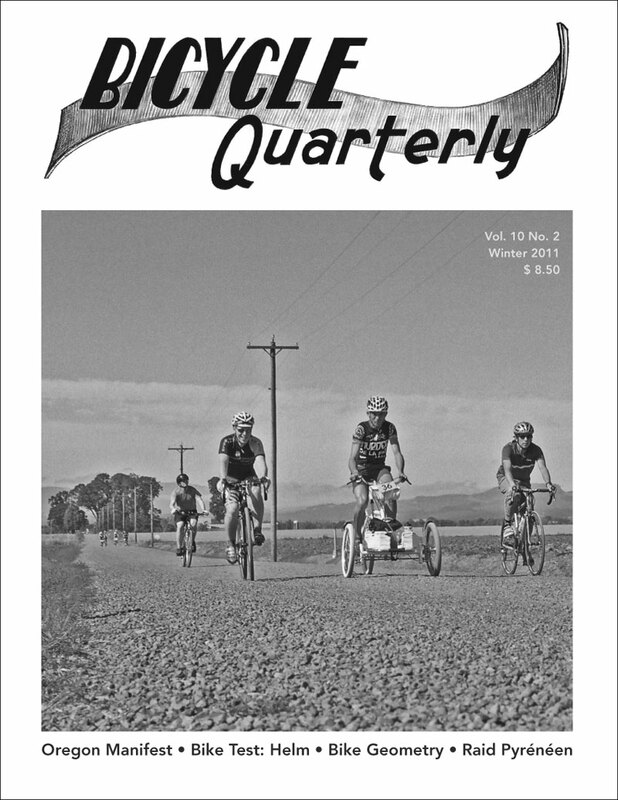 The Winter 2011 issue of Bicycle Quarterly is at the printer and will be mailed next week. Our full report from the Oregon Manifest (pictured on the cover) showcases the innovative and inspiring bicycles that excelled in the technical trials. We also take you on an epic ride across the Pyrenees mountains of southern France, to fuel your imagination over the winter months. 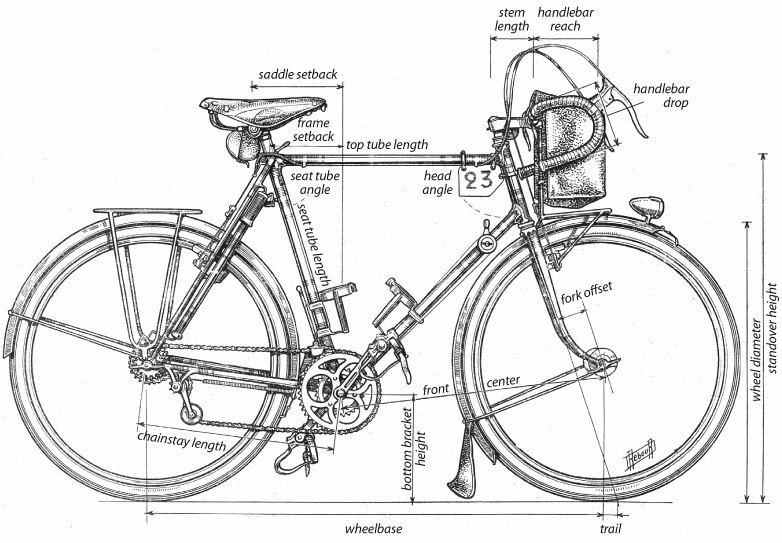 We discuss frame geometry and how it affects the fit and handling of your bike. And of course, we test bikes and equipment and bring you book reviews. My personal favorite in Bicycle Quarterly is the “My Favorite Bike” column, where readers present a bike that is special to them. 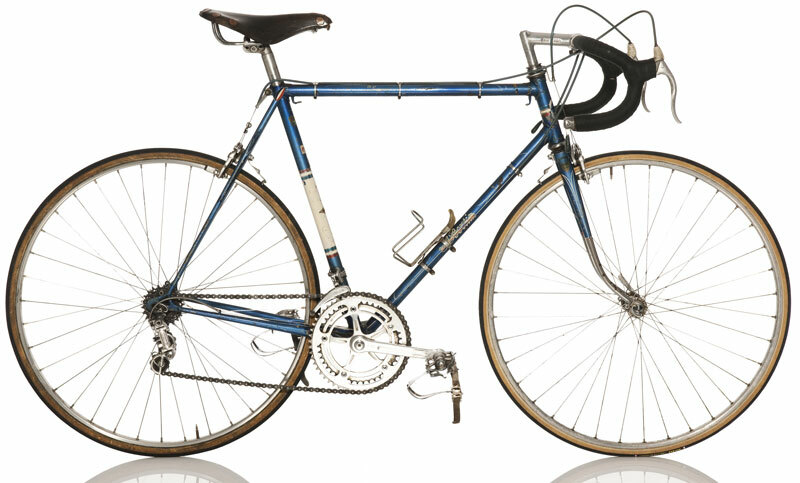 In the Winter issue, Wolfgang Habermeyer from Munich reports how he visited a bicycle chain store, found this wonderful 1970s Bertin in the basement among the unloved trade-ins, and bought it for a song. I wish we could all be that lucky! Click here for more information on the Winter 2011 Bicycle Quarterly. I’ve read every word of every issue. Looking forward to this one also. So do I, even though this is prime riding season in my region! Jan, where do you think the best forum is to comment on and discuss articles in BQ? Here, or on the iBob, the Classic Rendevous list, or other lists, based on topic, or all of the above? Discussions start spontaneously anywhere, but I wonder if you’ve found especially good forums for this purpose. Here’s a suggestion that came to me reading the Autumn issue: I loved the tour report of the Yorkshire Dales, but I found myself reaching for a computer to view a map of the route, as I have for other ride reports. Space is always at a premium, but maps are wonderful illustrations! You are absolutely right: The Yorkshire story would have benefited from a map. Our copy editor was pretty insistent on that subject, but we just ran out of time. Drawings maps takes a lot of time, and this story presented a unique challenge: Many of the places mentioned are tiny creeks and villages, yet the ride covered a lot of ground. Creating a map that presents that information and fits into a magazine is not easy. For the Winter issue, the story on the Raid Pyrénéen includes a map. Regarding comments on Bicycle Quarterly articles, we publish comments in the “Readers’ Forum.” Beyond that, of course, you can discuss Bicycle Quarterly wherever you like.